One of the most promising African dating website is SoulSingles. It encourages black men and women to look for long-lasting relationships through their excellent matchmaking services. It has been connecting thousands of black singles around the world since 2001. It belongs to one of the diverse group of niche dating websites. 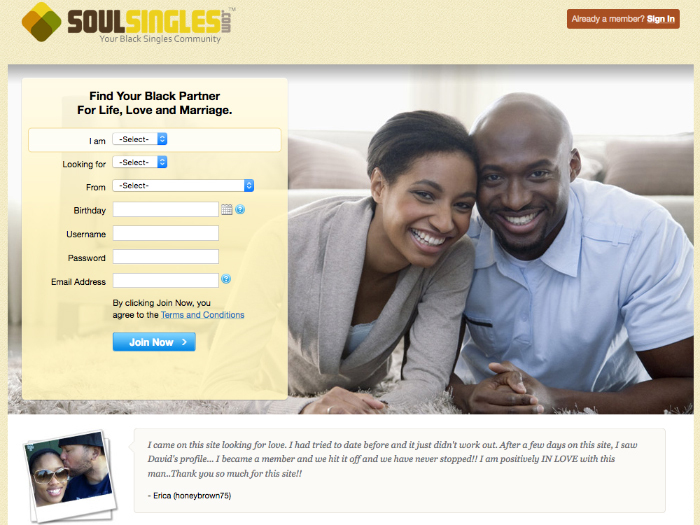 SoulSingles is very popular among the black community hailing from the Caribbean and Jamaican regions. The website offers in-depth profile creation opportunities, which help its users to find accurate matches. This could be the perfect platform for finding your soul mate. The website requires you to mention your gender, birthday, location, username, password, email address to join their website. It offers free membership to create profiles, browse the website and look for people you may find interesting. Unlike other black dating websites, SoulSingles is generous with photos. Users can upload up to 20 photographs to attract attention. 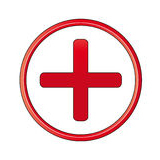 Creating a profile on SoulSingles may take about 30 minutes because of its extensive process. Starting from basic personal information till in-depth personality traits, likes and dislikes, the users are required to fill in all those data honestly and accurately. It shows the seriousness of their dating service. A long profile may sound boring, but in the end you will know it matters a lot to get your ideal partner. Simple, expanded and platinum search options are available for users to find good and compatible matches. Simple search includes what you are looking for, age, gender and zip code while the expanded search options are based on country, state, race, ethnicity, height, body type, and religion. Platinum search is only available for paid members to help them find partners based on their habits, appearances zodiac sign, saved searches, keywords and username. SoulSingles offers excellent communication tools for its members to interact with their compatible matches. They can send flirts to initiate contact and later build their rapport through live chats and internal mail system. Most of its features are available for free members, which makes it a very useful dating website for black singles. 5 star Safety program is one of the specialty feature of SoulSingles. The portal is legit and highlights the need for security. ‘Personality Match’ consists of 100+ questions that give a better idea about you. It defines specific aspects of your personality, like confidence, spontaneity, trust, romance, mood and thinking. This personality match brings in auto matches, mutual matches and reverse matches for its members based on their responses to the personality questions. ‘Friends’ feature allows its members to keep a track of people they meet and contact on SoulSingles. Members can maintain a ‘private list of favorites’ whom they are interested and would like to get in touch. Most of us want a dating site that offers a plenty of its features for free and SoulSingles is one among the best free black dating websites. You can create a long profile, upload photos, get compatible matches, initiate contact and browse through hundreds of profiles for free on this wonderful platform. 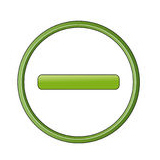 SoulSingles offers good support and privacy options for all its members. There is a separate help desk for reporting abuse or other problems and they take strict efforts to provide immediate solutions. It can be concluded that investing your time and efforts on SoulSingles will only be beneficial in the long haul as it can definitely help you meet the love of your life.